MyMagic+ is reshaping the Walt Disney World Resort vacation experience in ways that will make it more customized, more magical and easier than ever for guests to create lasting memories with their families and friends. Guests will be able to design the Disney vacation they want – personalizing everything from at-home planning to in-park experiences to capturing memories to share and relive. MyMagic+ takes renowned Disney guest service to a new level — more customized, more seamless and aimed at delivering the best Disney World experience ever. The already-popular new web site MyDisneyExperience.com and free mobile app provide Walt Disney World vacationers the ease of one-stop shopping for every aspect of their vacation. They can plan as much or as little as they wish – right from their home computer, tablet or smartphone. In creating their own personal guide to the magic, guests access their most valued experiences and get assistance along every step of the way to make those must-do’s a reality. There is even the option of making changes on the go. Complete information about Walt Disney World Resort attractions, experiences, dining and resort hotels becomes easier than ever to access. Interactive maps, videos, itinerary tools and more, all in one easy place. The ability to lock in some of their must-do experiences in advance through FastPass+. Make show, ride, fireworks or parade viewing or Disney Character Greeting reservations in advance or on the day of their visit. With no worries about experiencing favorite attractions and shows, everyone can relax and focus on their time together. Access all Walt Disney World Resort details from a smart phone, tablet or other portable device. Now, guests can take their Disney vacation with them and have the plans they created at home – along with interactive maps, character moments, dining reservations and wait times – at their fingertips as real-time info. For the first time, Disney-bound guests can reserve their special slice of Disney magic right from home. With a simple click of the mouse on MyDisneyExperience.com guests will be able to select up to three FastPass+ experiences at one park per day. The menu of choices is bigger and better than ever. In fact, more than double the number of experiences will be available as FastPass+ choices. Depending on the park selected, guests can secure not only their spot on Space Mountain, Soarin’, Expedition Everest or Toy Story Midway Mania! and many other choices, but the date and time as well. And for the first time, by using FastPass+ guests will also be able to reserve Disney Character Greetings, fireworks and parade viewing areas, shows and spectaculars. Not sure where to start? Disney will recommend FastPicks, a set of three FastPass+ selections to get guests started. Selections can be changed at any time until they are redeemed. When an experience is unavailable, an alert on the My Disney Experience mobile app will notify the guest. 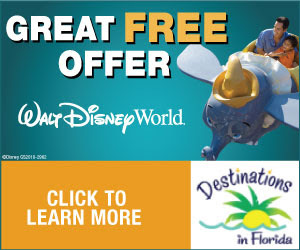 Access to FastPass+ is included in theme park admission for all Walt Disney World guests. 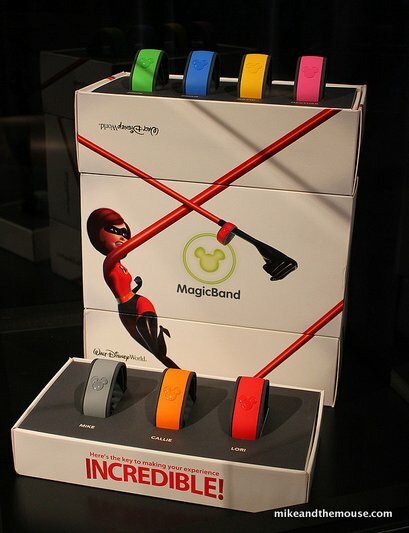 MagicBand, an innovative and colorful wristband, is an all-in-one device that effortlessly connects guests to all the vacation choices they made online with My Disney Experience. It’s a room key, theme park ticket and optional payment system rolled into one. With just the touch of their MagicBand, guests can enter the Walt Disney World Resort theme parks and water parks (ticket required), enter their Disney Resort hotel room, purchase food and merchandise and experience Disney Character Greetings. The MagicBand also provides FastPass+ access so guests can walk right onto their favorite attraction or other experience during the time they pre-selected. MagicBand technology also connects the guest to Disney’s PhotoPass+. MagicBands consist of hypoallergenic material that is flexible, durable, waterproof and comfortable to wear. Easily scaled to fit any user, it has ridges that help air circulate between the band and the wrist. Extensive measures are in place to protect the privacy of guests and the security of the personal information they choose to share. MagicBands store no personal information – each contains only a randomly assigned code that securely links to an encrypted database and associates the guest’s MagicBand or card with the Disney experiences they’ve selected. MagicBands can be disabled remotely if lost or stolen. MagicBands are mailed to families well ahead of their departure date or waiting for them at their Disney Resort hotel. Mom, dad and the kids can each choose the color of their individual wristband right at home, with seven colors to choose from: pink, blue, green, red, gray, orange or yellow. Bands can be personalized with the family member’s name etched inside it.